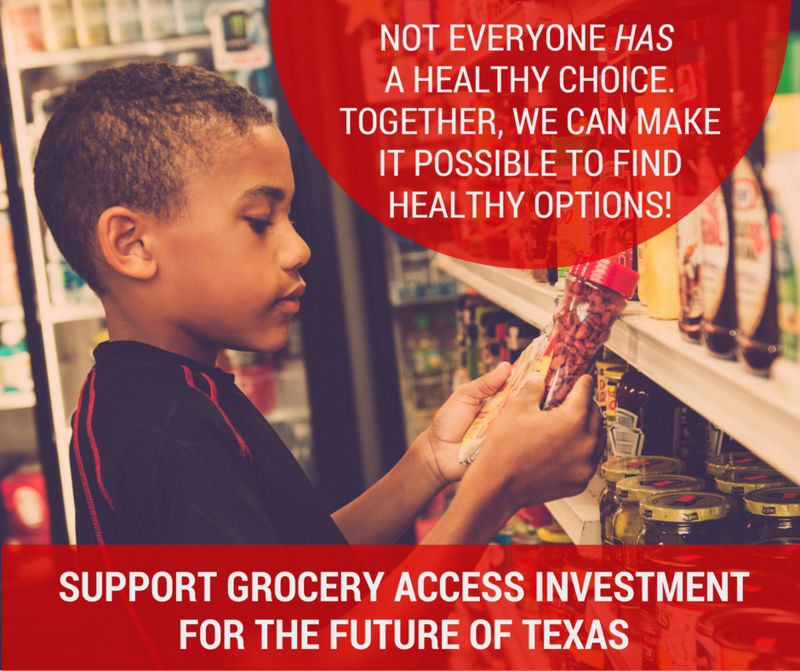 3.4 million Texans – our neighbors, family, and friends – simply don’t have the choice to add fruits and vegetables to their meals because they live in communities without healthy food retail outlets. This harms their health and increases their risk of heart disease and stroke. Join with the American Heart Association to raise your voice in support of improved access to healthy food across the state – through policy change to help bring grocery stores, corner stores, farmer’s markets, and more to areas that need them. Sign the petition to indicate your support today!